Paul, the Fury and Tiger are missing in the line-up...apart from the Brit Firefly would you consider the Tiger (amd/or Fury)? Yes Tiger and Fury definitely missing. But will they sell? In the final analysis any project needs to be profitable. Which subject would sell better? Probably the Fury, due to its longer service life. Either way put my name on your list. While a F-11F would be nice, I believe the FJ-4 Fury would be an all time seller! Not only are there so many cool Navy/Marine schemes, but it's never really been kitted before. I've been scared off doing the Tiger for years since doing the F9F Cougars, well that and have you ever really, I mean really looked in the wheel wells of the Tiger? That's some spaghetti going on in there for sure! I would have to get my favorite CAD guy enlisted to draw them up and then spend lots of dough to get them 3D printed on the hi-resolution machine...Very costly. Not impossible, but very costly. At this point I am more inclined towards the FJ-4 Fury but I don't know.There are great paint schemes for both the Tiger and the Fury , it's all a matter of how many I could sell. The USAF A-1E was a big seller for me , sadly the Navy AD-5 has been a giant smoking hole in my bank account. Makes a guy a bit gun-shy about doing more Navy stuff . I am following through with the AD-5W Guppy since it was already in the pipeline and the work was done, it's probably not going to be a home run, but it will make some of us very happy, mostly me! After the Asian and European distributors have made it perfectly clear they had no interest whatsoever in a 32nd scale F11F-1, Kitty Hawk had no other choice but to do so. I guess the "flexiscalians" among us will have to keep on struggling with the 48th scale brittle toffee plastic Fonderie Miniature kit for at least another decade. Wait, isn't Tom Hanks a modeler? One of my greatest pleasures is knowing that Eric Clapton has many of my race car models in his collection...But he's not an airplane guy.First time I ever kissed a girl i was listening the Disraeli Gears...Will never forget it. I tend to agree that the F-11 Tiger would sink more than swim when it comes down to sales volumes. Unfortunately the Fury could be similar. 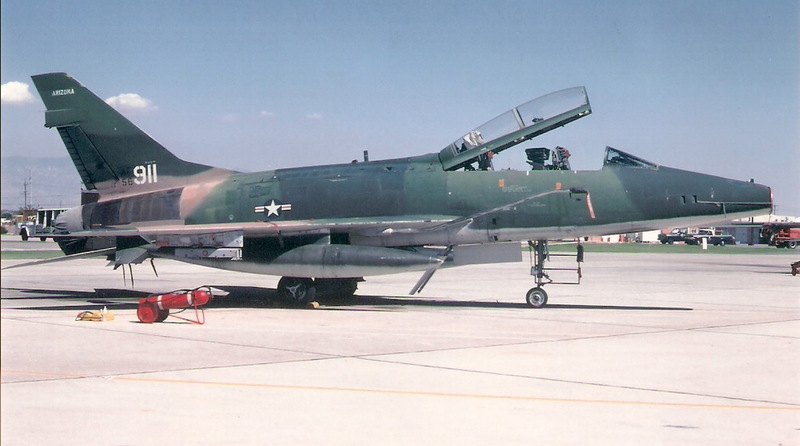 I think some smaller projects such as a two seat F-100F or even a two seat A-7 Corsair could sell well. I wonder how well the sales figures are for the F-8C conversion or the RF-8? I think Tigger has a vac conversion for the 2 seat A-7. How many kits do you need to sell to make it worth your while? I can tell you, if you built a Japanese Val or Kate, I bet you could pre-sell at least 20 of the here. I would buy at least two or three, and I think Ernie would buy at least 10. Vacuform is not my thing. Resin is much better and if Paul did them, even better as we'd know that it'll fit. You couldn't be more truthful about that statement! I've often wondered how a vac part welded to styrene would look and how it would hold up long term. Well, you will at least sell another AD-5W as I will order mine in three weeks! BTW, I have the vacform F11F kit and indeed the landing gear is a modeller nightmare, not only because of the bundle of spaghettis in the wells but also because of the angle of the main legs! A good quality 1/32 T-38. An incredible array or makings, across a wide number of users and Aerobatic teams. NASA, foreign jets, test pilot chase, Fighter lead-in, Aggressors - the list goes on.